We welcome non-profit organizations, local businesses, and neighborhood groups that would like to market their organizations. In exchange for becoming a Market Adopter, you will receive table space to display information on your organizations, which you can discuss with hundreds of visitors. Setup (8-9 am) – Two Canopy Tents, the information booth and the musicians tent; lightweight tables and chairs; A-frame signs; market banners; and some yard signs to direct traffic to the garage. Open hours (9 am – 1 pm)- Staff the information booth – MFM will provide your volunteers with chairs and shade. Cleanup (1-2 pm) – Return equipment from setup to the market trailer and pickup leftover trash, as part of our good neighbor practices. Look on our Volunteer Sign Up for an open date, and sign up for the volunteer slots (Setup; Market Booth; and Breakdown). On the Sign Up, identify your organization on the comment line. You do not need to provide volunteer names when you sign up. Then go to the Contact Page and send the Market Manager a note saying you will Adopt-A-Saturday. 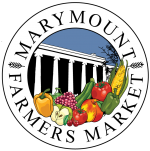 The MFM is PROUD AND GRATEFUL to partner with the Lee Highway Alliance – sponsor of the Oktoberfest – and our Marymount Market Volunteer Committee, who developed the ADOPT-A-SATURDAY PROGRAM. We hope you will add your name to the 2018 roster below – the MFM brings not only delicious fresh and prepared foods but also joy to our communities. Your participation as an important Arlington organization or business adds value!